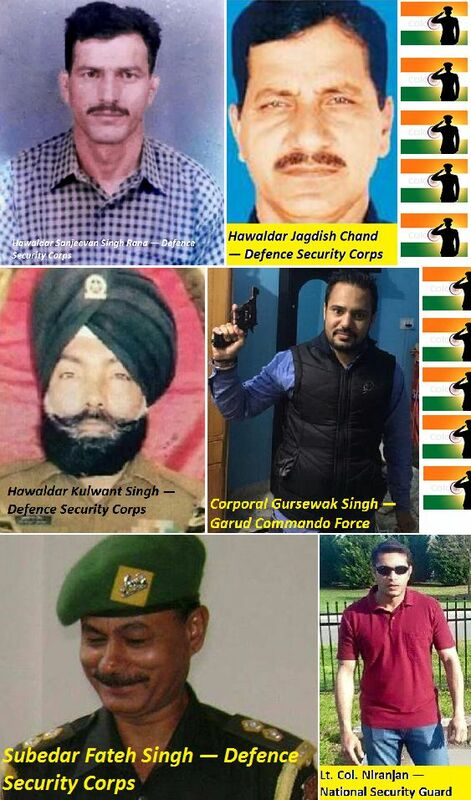 PUNJAB PATHANKOT AIR BASE TERRORIST ATTACK KILLED (DEAD INDIAN SOLDIERS) MARTYRS PICTURES, NAMES LIST POSTED HERE. NEW YEAR 2016 STARTED WITH A TRAGIC NOTE WITH A TERRORIST ATTACK ON JANUARY 2ND ON PATHANKOT AIR BASE WHICH SAW SEVEN OF OUR INDIAN SOLDIERS KILLED AND AS MANY AS SIX TERRORISTS DEAD. THIS WAS CLEARLY AN ATTACK FROM THE PAKISTANI SIDE JUST DAYS AFTER INDIAN PRIME MINISTER SHRI NARENDRA MODI SURPRISE VISIT TO PAKISTAN AND FRIENDLY TALKS WITH THE PAKISTAN PRIME MINISTER NAWA SHARIFF. LOOKS LIKE THE PAKISTAN ISI AND THE PAK MILITARY WILL NEVER LET A PEACEFUL INDO-PAK RELATIONS. THE RECENT TERRORIST ATTACK ON THE PATHANKOT AIR BASE SAW TERRORIST FORM TWO GROUPS AND ATTACKING THE AREA TWICE. THOUGH THE INITIAL ATTACK ON JANUARY 2 2106 CAME TO AN END WITH 4 TERRORISTS KILLED, IT WAS LATER KNOWN THAT ANOTHER TWO TERRORISTS WERE HIDING IN AN APARTMENT NEAR BY THE AIR BASE AND IT TOOK 10 LONG HOURS FOR THE INDIAN SECURITY FORCES TO ELIMINATE THE REMAINING TWO TERRORISTS. PRIOR TO THIS TERRORIST ATTACK AN SUB INSPECTOR WAS KIDNAPPED BY UNKNOWN MEN CLEARLY INDICATING THAT THERE WERE SOME INTRUDERS IN THE AREA. HERE IS THE LIST OF ALL ARMY, MILITARY, SECURITY GUARDS, ARMY MEN, PERSONNEL KILLED(MARTY, DEAD) IN THE TERRORIST ATTACK. 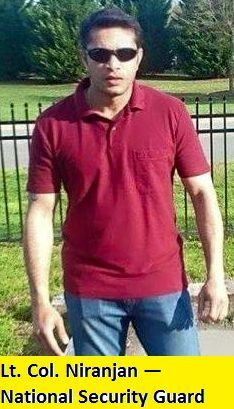 Lt. Col. Niranjan is a National Security Guard (Born in Bangalore, Family in Kerala, Pallakad Dist) He was a member of NSG’s Bomb Disposal Squad, the 35-year-old commando was killed while defusing a grenade at the scene of the attack. He is survived by his wife Radhika and 2-year-old daughter who live in Kerala Pallakad district. 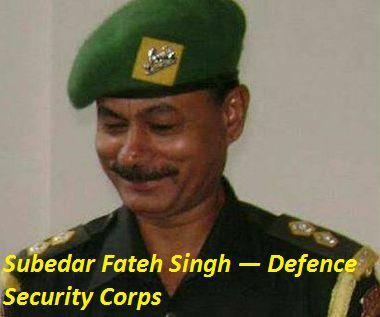 Indian Army man Subedar Fateh Singh had won India gold and silver medals at the international level during the Commonwealth Games and was well known as a champion shooter. 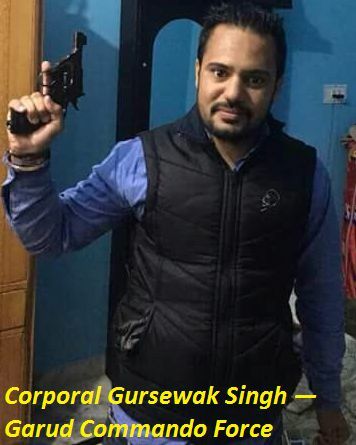 Gursewak Singh was from Ambala. He was hit during the exchange of gunfire with the terrorists and was severely injured and later died before medical helop could be provided. He married just a month ago. Even though his family is deeply shocked to learn of his death, his father has said that he is proud that his son gave his life for his country. The 51-year-old Rana was from Siyunh village in Himachal Pradesh. 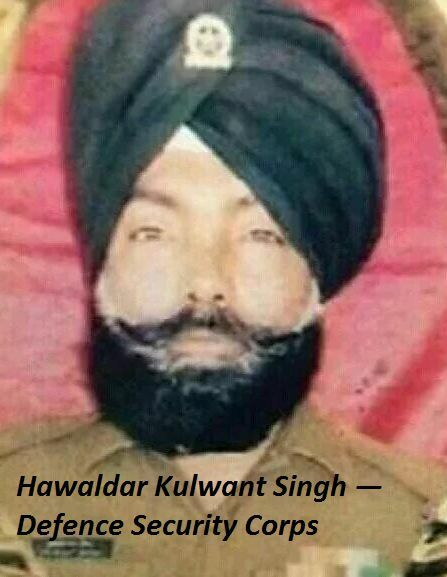 He is survived by his wife Pinky Devi, two daughters, and a son. Rana, the sole breadwinner of his family, died after five bullets hit him in the chest when terrorists entered the air force base. His father, Rattan Rana, had served in the army before him. 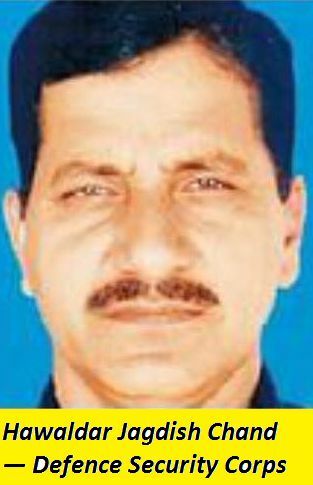 From Chamba district, also in Himachal Pradesh, Chand was transferred from Leh to Pathankot a few months ago. 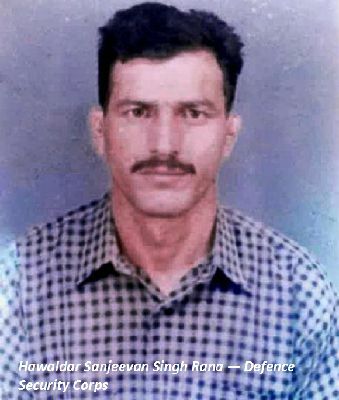 He was in his village — Gola — on a 10-day leave; he had returned to Pathankot only a day before the attack. Chand, a cook at the base, was in the kitchen when the terrorists entered; he wrestled a rifle from the attacker and killed him with the terrorist’s own weapon. He was caught in a hail of enemy fire and succumbed to his injuries. He is survived by his wife, a son, and two daughters.